Iron Brewz Massively popular drink, especially in the north of England and across Scotland, this Iron Brew Flavoured E-liquid is a winner. 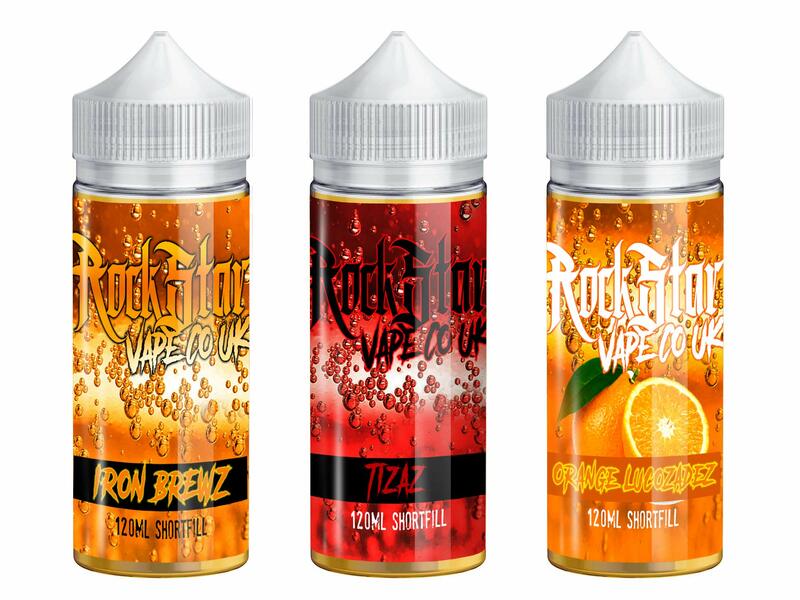 Tizaz Tiza flavour E-liquid Orange Lucozadez Sometimes the originals are the best, so Rockstar Vape created a one off flavour that has never been off our shelves. Orange Lucozade E-liquid gives that taste perfectly for your vaping pleasure.